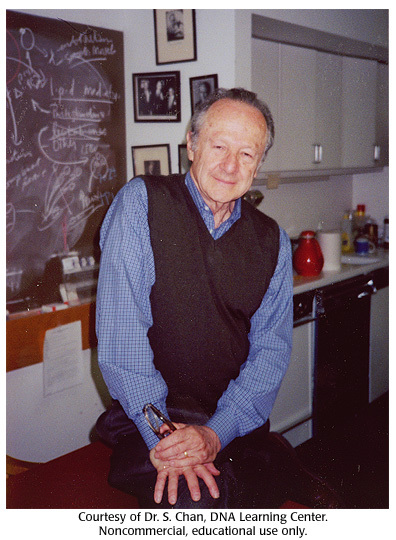 Linus Pauling was the greatest chemist of the twentieth century. Matt Meselson devised the ingenious Meselson-Stahl experiment and almost single-handedly convinced Nixon and Kissinger to get rid of chemical and biological weapons (a feat for which he more than almost anyone else deserves a long overdue Nobel Prize). But Meselson almost did not get around to doing these things, partly because Linus Pauling once came a step away from dooming him to a joyless existence of social expulsion when he was Pauling's graduate student. Here's the story as recounted fondly by Meselson at a Pauling anniversary celebration. LP: Well, Matt, you know about tellurium, the group VI element below selenium in the periodic chart of the elements? LP: I know that you know how bad hydrogen sulfide smells. Have you ever smelled hydrogen selenide? Me: No, I never have. LP: Well, it smells much worse than hydrogen sulfide. LP: Now, Matt, Hydrogen telluride smells as much worse than hydrogen selenide as hydrogen selenide does compared to hydrogen sulfide. LP: In fact, Matt, some chemists were not careful when working with tellurium compounds, and they acquired a condition known as "tellurium breath." As a result, they have become isolated from society. Some have even committed suicide. LP: But Matt, I'm sure that you would be careful. Why don't you think it over and let me know if you would like to work on the structure of some tellurium compounds?"